The winner of the Downtown White Plains Wing Walk is Lazy Boy Saloon's Tequila Citrus Wings! All are welcome to attend a winning presentation at the restaurant Tuesday, April 9 at 2pm. 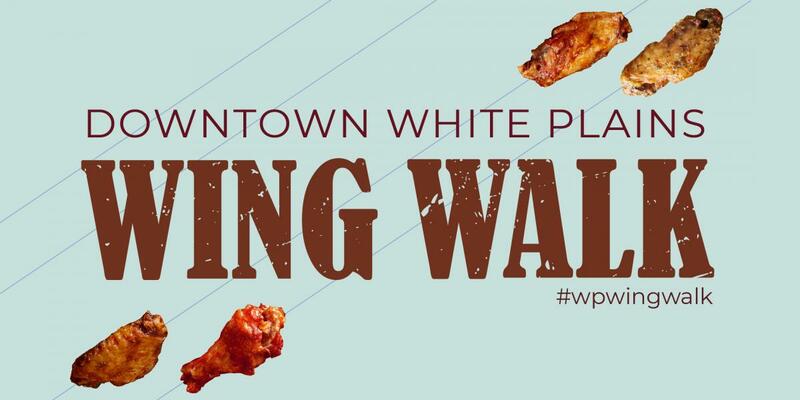 Stroll around Downtown White Plains sampling chicken wing recipes at a variety of restaurants, then vote for your favorite. 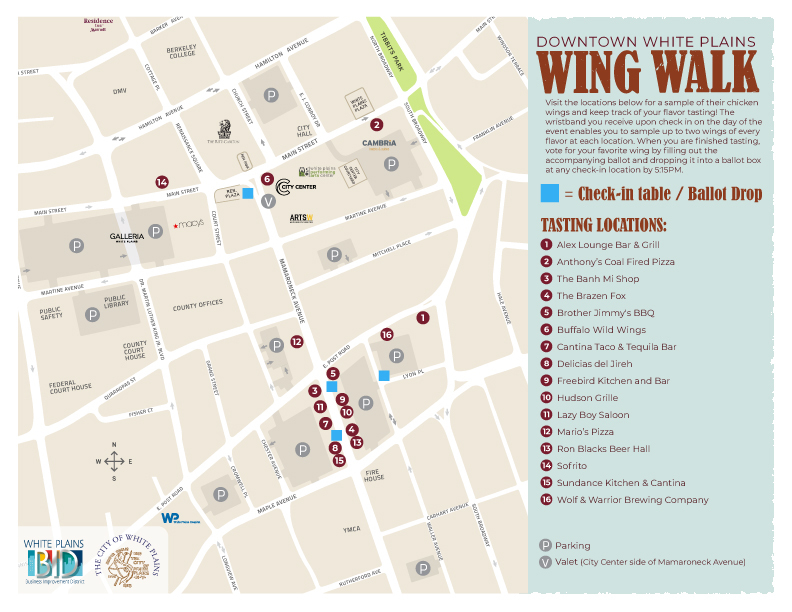 There are 16 restaurants to sample from, and a whopping 37 wing flavors! Please note there are FOUR check-in locations for the Downtown White Plains Wing Walk. On April 6 starting at noon, all ticket holders must check in at one of the locations before beginning the stroll to pick up their wristband, ballot, and map (below). You will not be able to sample wings without a wristband. Purchase your tickets below before they run out! Guests must sample more than one wing flavor in order to cast their vote. All votes must be received by 5:15pm on Saturday, April 6. Online ticket sales end on Friday, April 5 at Noon. Tickets purchased at the check-in tables on Saturday, April 6 are priced at: $15 for general admission $10 for children 5-15ys. old. Cash Only. Wristband sales are capped at 3,000.